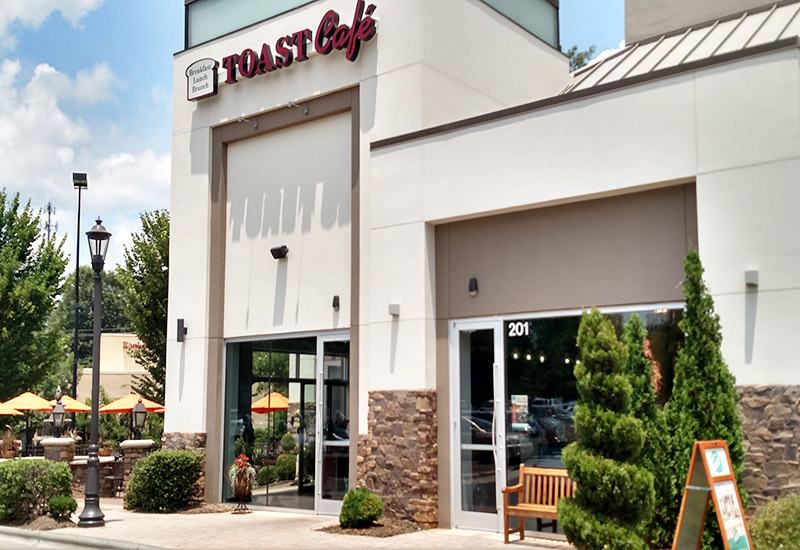 Cary, NC – Residents in Cary have known about Famous Toastery for years through its location in Waverly Place. Now, the breakfast restaurant is embarking on a major expansion, with nine new locations across North Carolina and the Triangle. The Famous Toastery, formerly known as Toast Café, location on Colonnades Way. 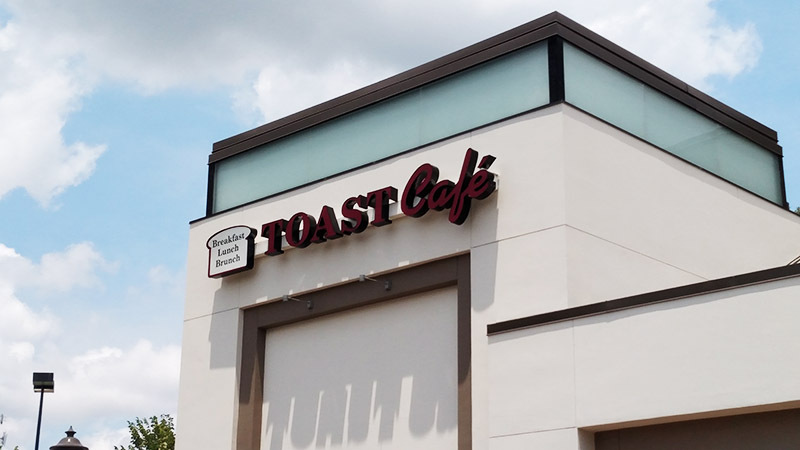 Famous Toastery, formerly known as Toast Café, has been open in Cary at Waverly Place on Colonnades Way and is one of the most successful locations for the franchise. “The timing worked out very well at Waverly. Waverly has been through many iterations and when we came in, we hit it almost perfect,” said Dean Kessel, the owner of the Waverly location. Now, Kessel will be the owner of nine new Famous Toasteries across North Carolina, with deals signed for Chapel Hill, Durham, Wake Forest, Raleigh, Greensboro, Asheville and more. There is also another Famous Toastery coming to Cary in the new Shoppes at Weston off of Chapel Hill Road. This push for nine new stores comes from both the Triangle being a good market, according to Famous Toastery CEO and founder Robert Maynard, and the ubiquity of breakfast. By targeting breakfast, Maynard said Famous Toastery is filling a need and spreading across the Triangle and the state fulfills that need. “We have stores physically opening. We’re not just planning to open. We are fully on board with this,” Maynard said. While the location in Waverly Place is doing “phenomenal” in Maynard’s words, Famous Toastery as a whole has also been doing well. In 2015, CNBC named it one of the top franchises to “look out for.” In the case of the Waverly location, Kessel attributed the specific success to the timing of the opening and his method of reaching out to the community. Both Kessel and Maynard pointed to customer service as a defining advantage and Kessel pointed to the speed of food coming out in particular. Maynard also said Famous Toastery is more health conscious so it brings in more customers than the kinds of breakfast restaurants that existed before such as Waffle House or Denny’s or IHOP. Kessel also said the diversity of the menu helps give customers more options. “It means that people can come in multiple times a week and get different things each time,” Kessel said. In the end, Maynard attributed a lot of success to putting in the time and effort to focus on these factors. “I don’t know that we’re better than the other guy. We just work hard and that’s the whole secret to getting good,” Maynard said. Famous Toastery is open in Waverly Place at 201 Colonnades Way. The Famous Toastery in Weston Corners is now set to open in March.